This is an exciting time for Australian naval shipbuilding. 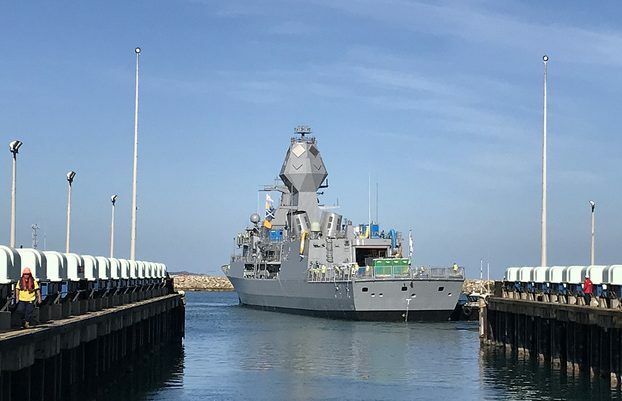 Two patrol vessel programs are underway, the Anzac-class frigate midlife capability assurance program (AMCAP) is completing the first of eight ships, and Hunter-class future frigates are to start construction in 2020, running into the 2030s for nine frigates. The air warfare destroyers are joining the fleet, while in the submarine world both the Collins-class life extension and the Shortfin Barracuda projects are generating a lot of commentary but no construction contracts yet. ASC Shipbuilding’s program of three air warfare destroyers is winding down. To retain skilled staff, the company started building its first offshore patrol vessel in mid-November 2018. 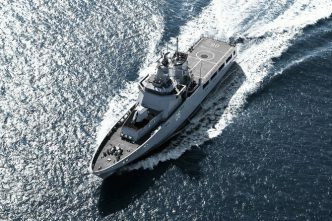 It will build one more at Osborne in South Australia before 2020, when construction of the remaining 10 OPVs will move to Civmec at Henderson in Western Australia, to be completed by 2030. BAE Systems at Henderson has just refloated the first AMCAP upgraded frigate, HMAS Arunta, for tests and sea trials. 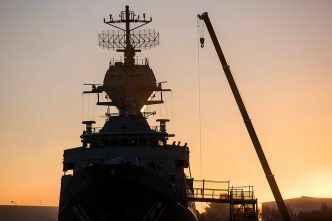 All eight Anzac frigates are expected to have completed their AMCAPs by 2023, and some will remain in service until 2032 or longer. On 30 November 2018, Austal delivered its first Guardian-class patrol boat to Defence, which immediately handed it over to representatives from the Papua New Guinea government. Twenty-one new patrol boats will be handed over to South Pacific countries by 2030. This rather dry recital of current surface ship construction projects ignores the programs to extend the Collins-class submarines beyond their first notional retirements until operational capability is reached in the future submarine project, however that plays out. There will be continuous submarine building at Osborne from 2022. Full-cycle docking and life extensions for the Collins boats will probably move completely to Henderson in the early 2020s. So where is this post leading? Apart from annual maintenance activities, surface naval vessels typically remain in service until their half-life platform, sensor and weapons upgrades after around 15 years in service. By 2030, the Guardian-class patrol boats and the new OPVs will have half-life upgrades some years off. The air warfare destroyers might start their upgrades in 2033, while Anzac frigates will be being decommissioned and Hunter-class frigates will be years away from their half-life upgrades. So, unless export opportunities open up, will the surface naval shipbuilding program be a bubble that bursts in 2030 with only new frigates and submarines being built? Is the only answer export, as recent examples of export funding assistance for Austal and CEA Technologies show, until serious mid-life upgrade business becomes available around 2035? Right now, the best export opportunities appear to be for patrol boats (witness the Australian sales campaigns by Austal in Trinidad and Tobago, and Lürssen in the Philippines). Australia’s future frigates took nine years to get from white-paper concept to the Hunter-class contract in 2018. Defence Minister Christopher Pyne has said that Australia’s defence attachés need to be our eyes and ears on the ground looking for prospects now, but of course with no responsibility to represent specific companies or designs. 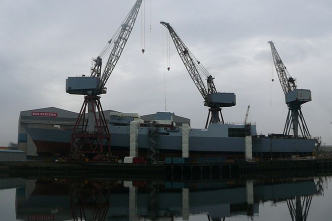 As The Strategist’s defence editor, Brendan Nicholson, wrote recently, the best opportunities may be in supply chains for global shipyards in both new construction and sustainment. The Defence Global Competitiveness Grant program announced in January is a good example of helping small and medium enterprises go global. There’s another significant factor to consider. Large surface warships may be on the way out, apart from a few required for expeditionary warfare, humanitarian assistance and disaster relief, diplomatic visits and showing the flag. The US Navy is investing in unmanned maritime vehicles such as the Sea Hunter. The future may well be with some surface warships supplemented by ‘mother ships’, like Boeing’s Echo Voyager 15.4+ metre unmanned underwater vehicle, providing command and control (C2) for fleets of autonomous underwater, surface, land and aerial vehicles. I attended November’s Autonomous Warrior 2018 exercise at HMAS Cresswell in Jervis Bay, which featured Five Eyes community technology and inputs from Australia’s defence industry. There was an opportunity to review, with Professor Jason Scholz, head of Defence’s Trusted Autonomous Systems CRC, realistic prospects of ‘ubiquitous C2’ being achieved by 2035. By this, Scholz meant similar and significant C2 capability on every platform in each physical domain, to achieve mass-scale manoeuvre and robustness. Real progress is being made by Five Eyes countries through their Technical Cooperation Program—nine major technologies have been incorporated within the program over the past two years. 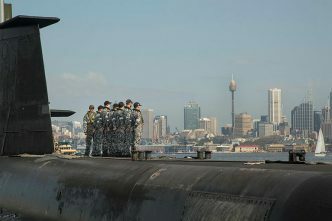 What could this mean for Australia’s future submarine capability? One crystal-ball viewing suggests that all six Collins-class submarines will get one or more life-of-type extensions of at least 10 years each time. 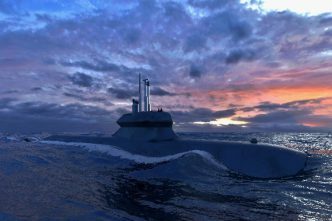 Naval Group’s $4 billion design contract will be completed, and just two or three Shortfin Barracuda submarines or several ‘sons of Collins’ will be built later this century. Relatively low-cost and highly capable large autonomous underwater and surface vessels will take over most of the intelligence, surveillance, reconnaissance, mine countermeasures, and even attack roles of the large manned submarines. Geoff Slocombe is a Victoria-based freelance defence journalist and farmer who’s also involved with his family’s rural vineyard and winery. Image courtesy of BAE Systems.